Norman Walker Thomson was born in 1921, and attended George Heriot’s School from 1933 – 1939. He was the son of Mrs Latten, “Entebeni”, High Street, Port Alfred, S.A. He was a South African from Port Elizabeth and received all his secondary education at the school. He was a good swimmer and rugby player. On leaving school he was articled to a firm of Chartered Accountants. 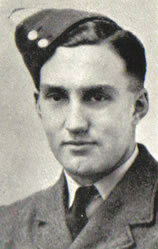 He joined up in 1941 and trained in Canada. He had returned to this country and was preparing to enter upon active service, when he was killed in 1944 in a flying accident over the Firth of Forth.